To inspire people from around the globe to discover the unique islands of northern Vanuatu and, through sustainable tourism practices, help grow businesses that strengthen our local communities. Santo.Travel is the one-stop-shop for all your tour and accommodation needs in the northern islands of Vanuatu. Representing local businesses in Sanma, Torba and Penama Provinces, Santo.Travel offers you the ultimate Vanuatu experience – whether you want to relax on one of our pristine beaches, learn about our unique kastom, or get off the beaten track and explore the more remote corners of the islands, we can put together your perfect holiday! Santo.Travel is a locally operated not-for-profit organisation based in Luganville, Espiritu Santo. We invest all of our profits back into the local community. This means that when you book your Vanuatu experience with us, not only will you get a unique holiday experience that you will never forget, but you will also be directly supporting the communities you visit – it’s a win for all! 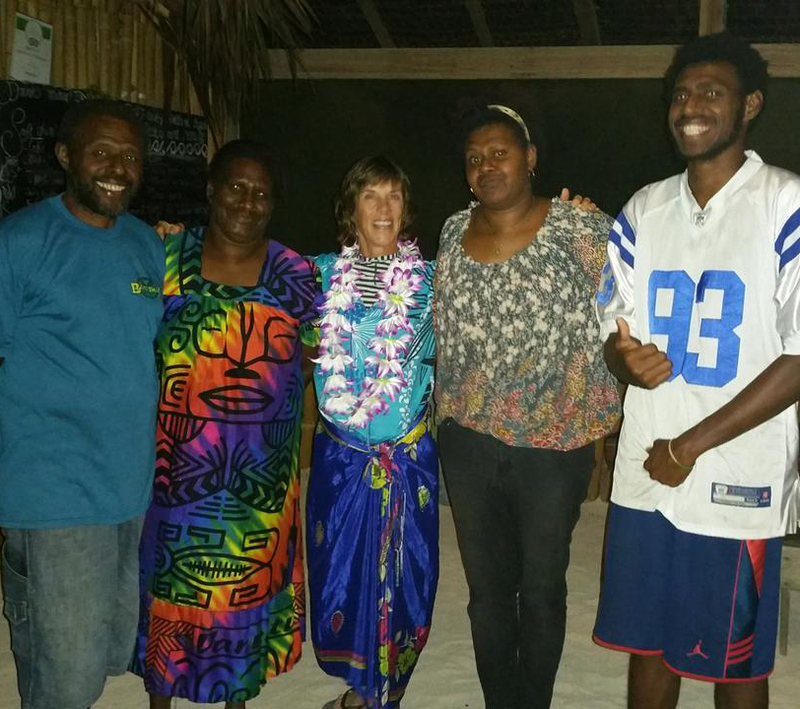 The Centre was established in 2014 with the support of the Vanuatu Tourism Office and Australian Aid. Santo.Travel is a member-based organisation that offers a platform for our local operators to access the international tourism market. 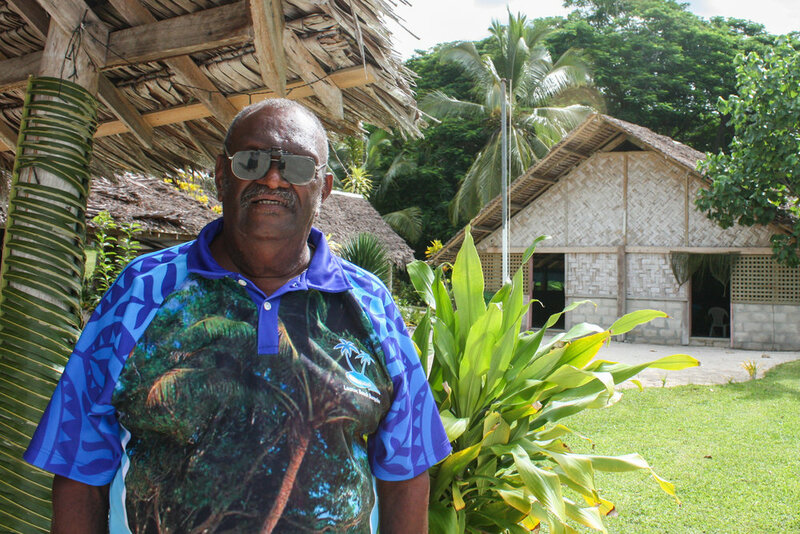 Due to the remote nature of the outer islands of Vanuatu, reception can be unreliable and it is difficult for our members to connect with potential tourists. But what they lack in easy-access they make up for ten-fold with uniqueness! We can guarantee that the experiences our operators provide is unlike anything you will encounter anywhere else in the world… besides the journey is half the fun! Reservations Officer Mila (L) and Centre Manager Serah (R). 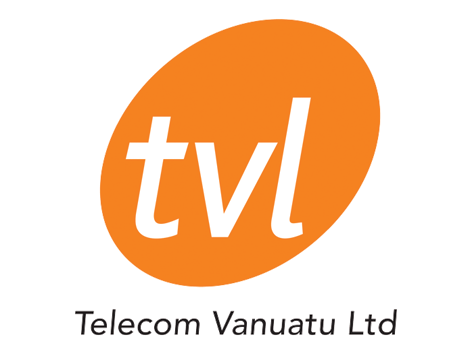 We are a small dedicated team based in Luganville, Espiritu Santo - the gateway to the northern islands of Vanuatu. Our Manager Serah came to Santo.Travel after successfully setting up and managing Malampa.Travel. Her wealth of experience and passion for tourism is the driving force behind the Santo.Travel team. Our Reservations Officer Silesia (Mila) has worked at Santo.Travel since it opened in 2014 and is your go-to-girl for all the best kept secrets in northern Vanuatu. Just tell her your dream holiday and she will make it happen (in English or in French). Santo.Travel is assisted by an AVI volunteer who works to capacity build staff in communications and marketing skills. We also host interns from the youth@work program, which aims to up-skill youth in Vanuatu through professional placements. While the day-to-day operations of the Santo.Travel Centre is handled by our centre staff, Santo.Travel is guided by a dedicated board who help steer the centre towards a sustainable future and ensure that Santo.Travel has adequate resources to achieve our mission. Our board is made up of various stakeholders from the Vanuatu tourism community to ensure that Santo.Travel is a locally-led organisation. 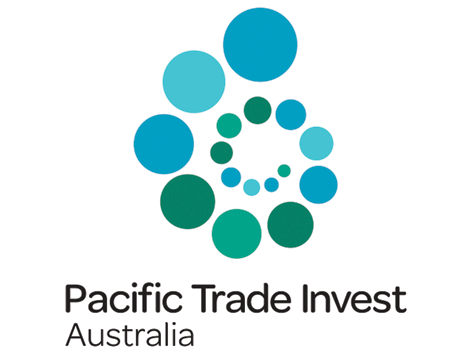 Santo.Travel board members are elected on a rotating basis and currently include representatives from the Department of Tourism Sanma, Vanuatu Skills Partnership Program, Air Vanuatu, Land and Transport Authority, and Santo Tourism Association representatives. We couldn't do the work we do without the generous support of the below organisations. All images used on this site remain the property of the original photographer and/or Santo.Travel and/or the Vanuatu Tourism Office. In no way can they be used for commercial purposes unless express consent is given as well as full credit given to the original photographer. Santo.Travel helps expose Torba Province to people wanting to visit from around the world. The staff give information, market the businesses, make bookings and help train some of the owners so they can learn more about running a tourism business. Since many businesses don’t have good access to mobile reception, internet, or credit cards, this is very important. All in all, Santo.Travel helps connect Ni-Vanuatu businesses in far remote places with the rest of the world. As a long time business owner, I am glad of Santo.Travel's development. Without them many businesses couldn't access the world. I like working with the staff at Santo.Travel because everyone is helpful and knowledgable. We (Santo.Travel members) are all like a team and we work together to improve tourism in Santo and build a good future for everyone. "The staff at Santo Travel are always warm, friendly and welcoming, making booking everything I need - accommodation, activities and transport - easy and fun! They are passionate about supporting local ventures and provide support to both tourists and hosts." "Great team at Santo Travel! The staff were friendly and knowledgable about local attractions. I was confident that the tourism dollars I spent were fair prices that went straight back to the communities I visited. The tourism operators were all friendly and had worked hard to create some really wonderful local attractions." Whether you want to get in touch about reservations, marketing, membership or just to say hello, please send us a message below! * We speak English, French and Bislama. Please contact us in your preferred language. We are located on Main Rd, next to Origin Gas and opposite Club de Sanma.